If you are reading this then you’re someone drawn to yoga. You’re someone who has likely been through some hard times and yoga has proven to be a central pillar of your healing. You may have had tried a home practice with online videos or DVDs, perhaps studied yoga in college, in a studio, or regularly with a teacher but realized that you were just learning the surface of yoga. And so now you’re looking for a place to deepen your practice, or perhaps teach… But there are many yoga studios out there and finding the right fit isn’t always easy. We thought we might share a few words about past ideal clients and who our favorite community members have been. Perhaps you might see yourself in them. Many students have shown up in our classes having faced some form of life adversity and needing help. A Traumatic Event: For some of them this was a difficult divorce or ending a significant relationship, or accident. Something has changed their life forever and they can’t go back to how it was before. Burned Out: Whether it’s being a social worker who is continually exposed to the plight of so many or a parent or caregiver (or just an over-giver) many people come to us depleted. They may also come to us in malaise or even depression. Wound Up: Others have come to us with unwanted anxiety, turbulent emotions, anger, or generally frustrated with life. Physical Situation: a persistent health issue, sports or dance related injury, or general bodily discomfort. Conscious Life Shift: And others come having overcome an addiction, a career change, a recent move or some other big life shift. Are supportive of one another not competitive with each other. They are willing if not eager to support their peers/collective space. Show up to classes a bit early to support us starting on time. Develop (or at least work towards) a commited home practice and are dedicated to making the most of the classes they attend. Participate in classes and workshops by asking questions and even challenging some of the ideas presented. Are craving to know themselves more fully and be inwardly resourced when facing external challenges (e.g. relationships, the pace of modern life, or unexpected crisis). Are friendly, giving, on a committed quest for more and deeper wellness and joy. They value health as a cornerstone of greater joy in life and their personal relationships. They can appreciate that there are many styles of yoga and that ours is more contemplative than most. Are drawn to conversations that have depth. They continue to find the balance in their lives between self sufficiency (tending to their own needs) and community support (receiving from and offering help to others). Value holistic therapies and a healthy lifestyle. Can be open and honest and in so doing are willing to be vulnerable. They are aware of their own stuck places and found healing through the grace of yoga. They have a capacity for self reflection. You can often find them at Natural Grocers (Vitamin Cottage), at Tattered Cover bookstore, dancing, outside, and at meditation and yoga classes. If you look at their bookshelf, you’d likely find Hermann Hess’ Siddharta and Journey to the East, Autobiography of a Yogi, Bhagavad Gita – A New Translation, Forty Prayers by Baba Hari Dass, Old Path White Clouds, In The Tradition of the Himalayan Masters, Eastern Body Western Mind, Cutting Through Spiritual Materialism, My Experiments with Truth, books on ayurveda, The Heart of Yoga, Rilke’s Letters to a Young Poet, and at least one book of Rumi’s poems. Tend to vote to the left and may even feel distressed about America’s troubled relationship to the rest of the planet. They may feel overwhelmed with the state of the world and how crazy things have become. They crave a sense of peace but wonder how they could even come close to this in our modern world. Care about the welfare of the underserved or underprivileged and possible want to bring yoga to those communities. Desire a richly supportive community and can’t seem to find much of it. Tend to isolate themselves from and not interact with their peer group. Founded in 2003, Axis Yoga is Denver’s original traditionally-based yoga institute focused exclusively on teacher trainings, workshops and retreats for dedicated students who are hungry to discover yoga beyond the poses; guided by three core instructors with thousands of hours of international study under world-renowned teachers. Axis was established and continues to be operated here locally in Denver by husband and wife team Derik Eselius and Brenna Hatami. 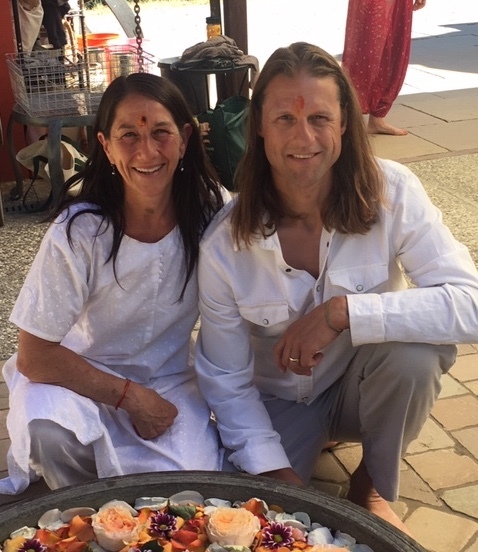 Derik began studying yoga in 1991 during an off-chance journey to India at the age of 19. India set the tone for what would become a lifelong, dedicated yoga practice that continues to this day. Brenna discovered yoga in 1989, has studied in India on multiple occasions and is one of Axis’ core teachers. Drawing from their classical study Derik, Brenna and their small hand picked staff, present yoga in its totality, far beyond a scripted sequence of poses. Axis breaks the mold of most yoga studios by specializing in only extended, in depth trainings. We like to joke that Axis is HQ for Denver’s “Yoga Underground”, inspiring a movement of diverse yet like minded yogis who are ready to discover themselves more fully and become agents of good in the world, whether through teaching or simply how they conduct themselves in life. 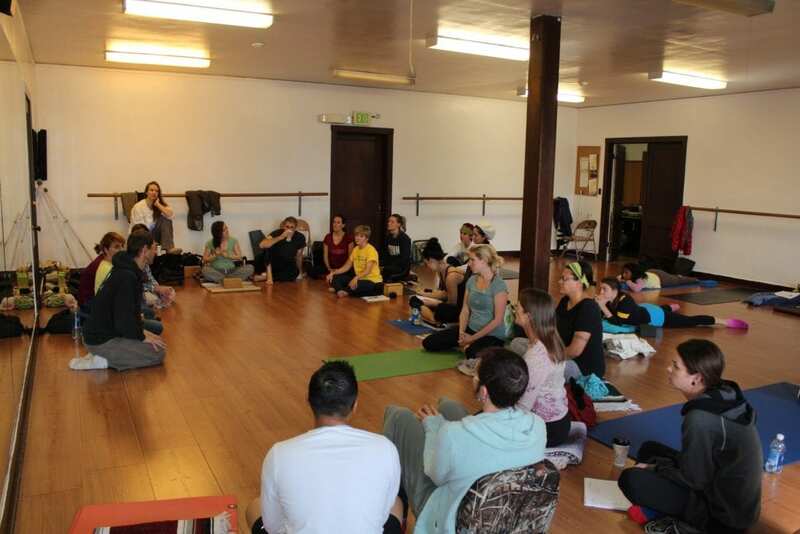 Axis draws a diverse array of students; economically, ethnically, and socially who are all united by a common love of yoga and desire to make the same gift available to their communities.